Lights and vivid colors break the dark veil of the night. “A magical atmosphere you have to dive in at least once in a lifetime”, say those who saw the northern lights. The peculiarity of this natural phenomenon attracts many nature lovers, who face the cold of the extreme latitudes. Are you amongst them? 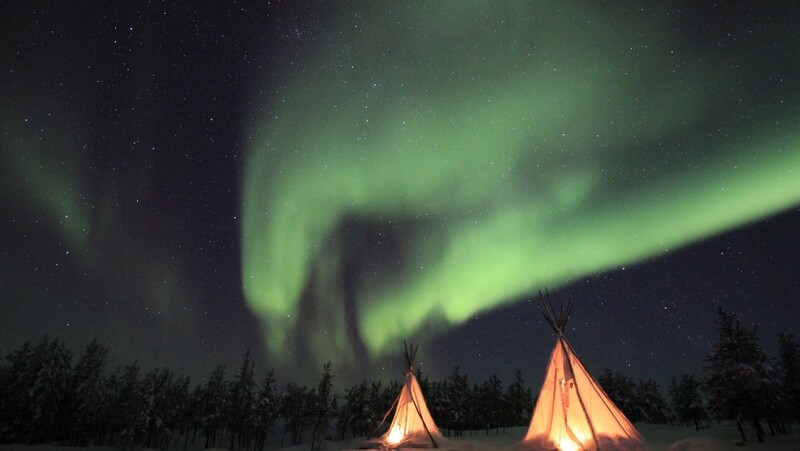 Here the 10 most fascinating places to admire the northern light. Everyone dreams to see, at least once, the northern lights. But what are they, exactly? The northern lights are a subset of the polar lights. These extraordinarily beautiful phenomena happen also in the southern hemisphere and are called southern lights. They are optical phenomena caused by the arrival of solar protons and electrons in Earth’s atmosphere. In particular, in the ionosphere the interaction makes the gas turn into light, giving birth to these ever-changing bright stripes. To better admire the lights, you must go up to 60°-70° latitude North, around the equinoxes (February to March and September to October), but in some places you can see them all year long. Due to the Sun’s cycle, which takes 11 years, we can see from the Earth the northern lights with a different intensity every year. They never go completely away, but they can become more difficult to find. Let’s see together the 10 best places to look for these amazing lights. The largest State of the USA is also the least populated. Here the queen is unspoiled nature: forests, lakes and mountains always covered with snow. Thanks to its difficult and uninhabitable environment, Alaska is the motherland for many species of plants and animals, especially bears. Since the time of gold diggers, it’s the favorite destination of those who want to flee from society’s strict rules. 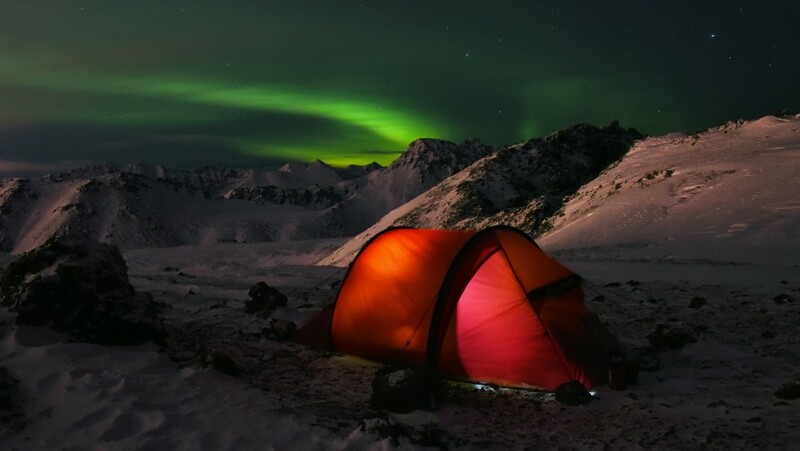 When and where: The best place to admire the northern lights in Alaska is the Denali National Park, the natural park around the highest mountain of the entire American continent. Thanks to the isolation from the residential areas, the light pollution is almost non-existent. Here in Alaska, you can see the northern lights already in the beginning of August. Must do: A train journey along the White Pass & Yukon Route Railway. Even 119 years after, it is still considered one of the most spectacular railways on Earth and an engineering wonder. You will explore the unforgettable landscape made of canyons, forests and glaciers of America’s last frontier. Greenland is part of the Kingdom of Denmark. It’s the largest island of the planet, but it’s also the least populated country, mostly by Inuit populations. A Viking exile gave the name “Green Land”: this testimony and other archeological evidence prove that in the past, thanks to milder climate, the areas always covered with ice, were once soft green meadows. When and where: You can see the northern lights all around the year, but they are especially intense from August to October. We suggest going in the small village of Kulusuk, near the Apusiajik glacier: it’s just a 40-minute walk away from the airport that connects it with Reykjavík. Must do: Visit the Ice Canyon, one of the most beautiful places in the whole planet. In summer, crystal-clear water fills the bottom of the canyon and it’s almost like a real river, flowing between 40-meter-high ice walls. Canada, the second largest country in the world, is mainly flat and has particularly cold winters: in its northern parts, the snow never melts. In the North, the landscape is characterized by the tundra; animals and plants are similar to those you can find in Continental Europe, with the exception of grizzly and polar bears. It’s a really advanced country, always in the first places of economical and human development world charts. 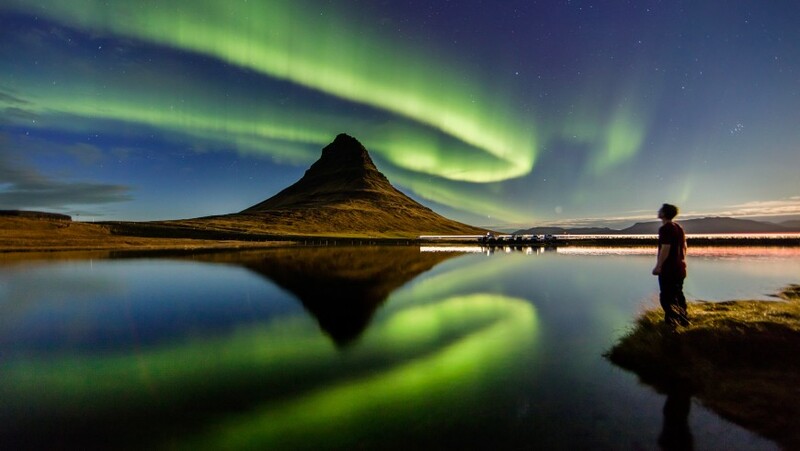 When and where: To see the best of the northern lights, you should wait until the equinoxes or the winter months, when the nights are darker (but also colder). The best places are Lake Superior’s shores and Whitehorse, in the Yukon Province. The perk of this little town is its subarctic climate: clouds and rains happen very rarely, so you’ll have a higher probability to see the lights playing. Must do: Visit Fundy Bay and the wide tide variations, amongst the greatest in the world. The difference between high and low tide arrives up to 16 m! You shouldn’t miss the chance to see the surreal landscapes revealed by the sea as it recedes. The subarctic archipelago made of 18 small islands belongs to the Kingdom of Denmark, but it has much freedom regarding almost all internal politics and administration matters. There, the climate is cold, but the islands benefit from the warming effect of the Gulf Stream. Often enshrouded in mist, they give to their visitors romantic and mysterious landscapes. When and where: Near the equinoxes, the northern lights are brighter and you can see them almost from every point in the archipelago. Thanks to the low density of villages and houses, the lights can play in the sky undisturbed. Must do: If you love trekking and walks, we suggest you to challenge yourself and try to reach Mulafossur Falls. The 3-kilometer-long path is quite steep and a little unsteady in some points. If you have small children, but you don’t want to miss the chance to admire this enchanted place, you can easily reach the Falls by car or public transports. Iceland is the northernmost island of Europe. It’s located on the Mid-Atlantic Ridge, a volcanic chain that crosses from North to South the entire Atlantic plate. Thanks to its particular geographic position, it’ characterized by many active volcanoes next to glaciers and glacial rivers. This extraordinary contrast makes Iceland one of the most fascinating places in the world. Considering its latitude, the climate is temperate, thanks to the warming action of the Gulf Stream. The Turf Houses, typical of this islands, are one of the first examples of green architecture in the planet. When and where: To better see the northern lights, you need dark skies. 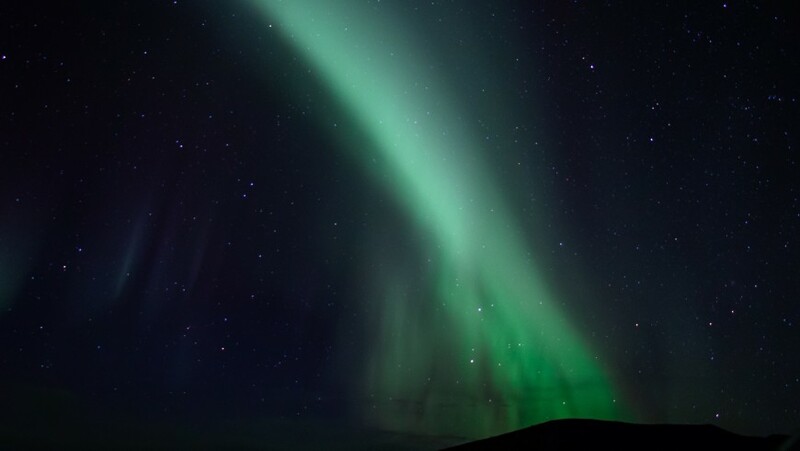 Due to Iceland’s high latitude, during summer the sky is light even at night, so the best period to hunt the colorful lights is from September to April. You can see them also from Reykjavík’s center, even though on the shores they’re brighter. One of the visitor’s favorite spot is the iceberg lagoon Jökulsárlón. Must do: Seljavallalaug is the island’s ancient thermal pool and collects warm water since 1923. It is never as crowded as the more famous Blue Lagoon, but it is very evocative: it’s situated in a narrow valley and to reach it, you need to trek along a not too demanding path. Russia is the widest country in the world; it goes from Eastern Europe, across Northern Asia, to the Pacific Ocean. Thanks to its broad surface, there are many different climatic regions, landscapes, animal and vegetal species. Mostly flat, in the northern parts you can easily see the traces of ancient Ice Ages. Human settlements are mostly present in the European side, while the largest region, Siberia, is mainly empty. When and where: Near the equinoxes, around 20 March and 20 September. During the high peaks of the Sun’s cycle, the northern lights can be seen even past the Urals and in Siberia. In any case, you can see them in every region past the Polar Arctic Circle. Murmansk is the area closest to Moscow, while in Archangel’sk you have the highest chances to see the lights, thanks to its clear winter nights. To enjoy them even more, you should travel north, along the River Dvina, far from human residential areas. You can reach it by plane, from Moscow or Saint Petersburg. Must do: A visit to Lake Baikal, in Siberia. It’s the deepest freshwater basin in the world, up to 1500 m deep. It is one of Russia’s 7 wonders and the perfect destination for those who love wild and unspoiled nature. Finland is one of the three countries of the Scandinavian Peninsula. More than one third of its territory is past the Polar Arctic Circle and its surface is scattered with thousands of glacial lakes. In the northern part, there is the Lapland region, which extends across Norway, Sweden, Finland and Russia. Finland’s territory is a uniform upland, due to the glacial activities that have always characterized these areas. 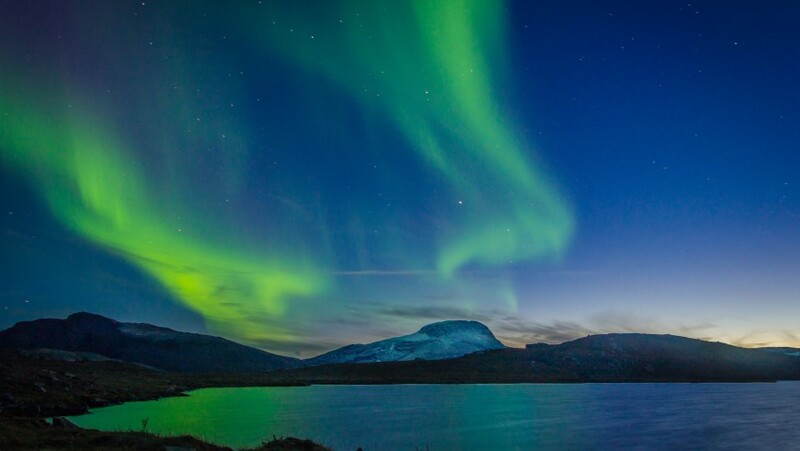 When and where: From September to March the northern lights can be spot every two nights in the northern areas of Lapland, but even in the southern region, you can see them at least 10 times a year. One of the visitor’s favorite places is Sodanklya, where the Northern Lights Research Center is based. Must do: A visit to Lemmenjoki Park, the largest natural park of the country, which is past the Polar Arctic Circle. A trip following the banks of the River Lemmenjoki, where were once found gold deposits, surrounded by the tundra landscape, too cold even for the trees to grow. Sweden is the largest country of the Scandinavian Peninsula, but it’s sparsely populated. The main part of its territory is covered with forests, almost entirely protected by natural parks and reserves, to safeguard their biodiversity. In the West, the chain of the Scandinavian Alps separates Sweden from Norway. They’re ancient mountains, so there is no particularly high peak. Stockholm, the capital, is built on hundreds of tiny islands, connected through many bridges to the mainland. When and where: From Mid-September to the end of March, the best place to see the lights is Abisko, in the Swedish Lapland. 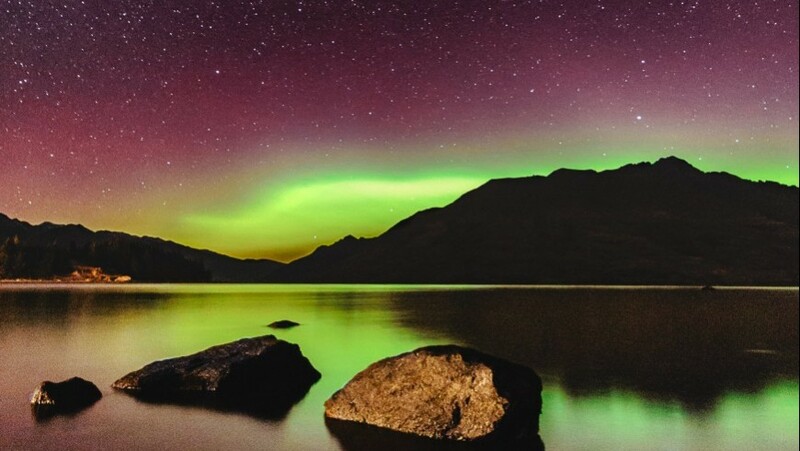 Thanks to its dark nights and the near lake, the show of the northern lights is incredible. An example is the Blue Hole of Abisko, created thanks to the presence of the lake. Must do: A bike tour of Koster Islands, where you can find the only Marine National Park of Sweden, characterized by its biodiversity. Guided visits longer than 2,5 hours allow you to explore every corner of this unmissable place. Ireland is an island in the North of Europe, well known for its immense green spaces that give her the name of “Emerald Isle”. The rolling hills give way to steep cliffs on the west coast, beaten by Atlantic’s mighty waves. The climate is warmed by the action of the Gulf Stream, but is characterized by frequent rains and the northern and western areas are amongst the windiest in the entire Europe. When and where: In the Donegal County, you will find the perfect conditions to admire the lights. Its wild landscapes give an unbeatable background to the lights’ shows. Our advice is to go up to Inishowen Peninsula, the least populated of the county, to distance yourselves from any source of artificial light. In some periods, the northern lights go far south along the coast, almost up to the Cliffs of Moher, a spectacular place looking over the Atlantic Ocean. Must do: A fun experience that’s worth a try, is the crossing of the rope bridge Carrick-a-Rede, which connects the mainland and a small rocky island since the end of 1700. It is 18 m long and 25 m high on the sea surface and it allows you to admire stunning landscapes from a different perspective. You can reach the bridge after a 1-km-long walk at the edge of the cliff. The Kingdom of Norway is the third country of the Scandinavian Peninsula, located in its western side. Famous for its fiords and the thousands small islands in the Atlantic coast, it’s the northernmost state of Continental Europe. The territory is mainly mountainous, crossed from North to South by the Scandinavian Alps. The climate is, despite its latitude, rather mild, thanks to the action of the Gulf Stream. In the South, the plains around Oslo, the capital, are cultivated. When and where: One of the most stunning places to see the northern lights are the Lofoten Islands, characterized by majestic mountains and hidden villages. Known mostly for fishing, they are in an excellent position also for kayaking and surfing. Here the lights in the sky interact with a particular milky effect in the sea. Norwegians call it “Morild” and it is caused by luminescent planktons. Must do: A journey on the Flåm, a 20-km-long mountain railway, through the magnificent landscapes of the Aurlandsfjord. A truly unforgettable experience, surrounded by the mountains’ forests and the seawater that enters on the valley floor. What are you waiting for? 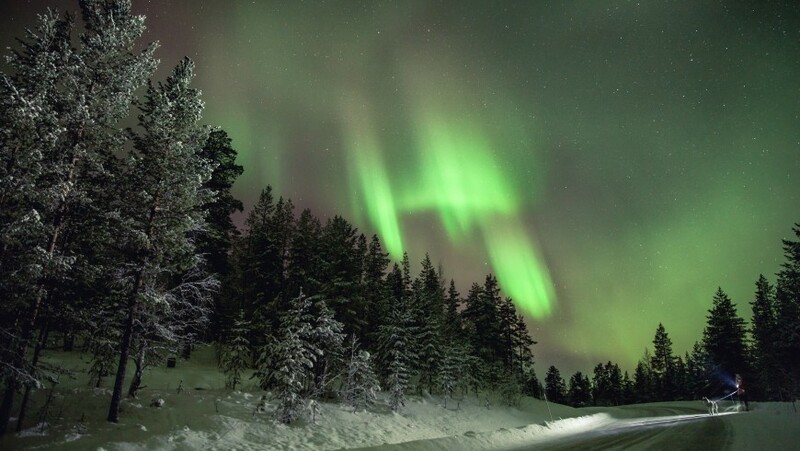 Book your next holiday hunting the northern lights! 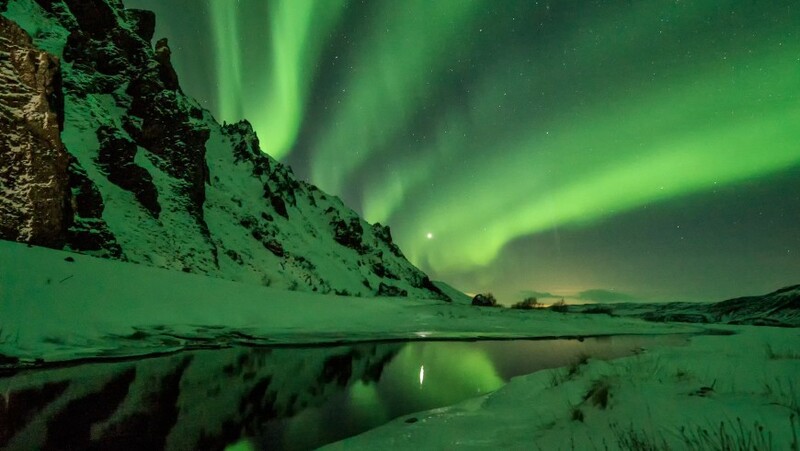 This entry was posted in curiosity, go green and tagged Alaska, Canada, Fær Øer, Finland, Greenland, Iceland, Ireland, natural wonders, northern lights, Norway, Russia, Sweden. Bookmark the permalink.